GREAT CONDITION - Housed in Bellaire Michigan. 2008 Boating Magazine Randy Vance says... "Our performance numbers speak to speed, but the feel of the 205 Sport is most important to us. Nimble and crisp in turns, it's quick to respond to the throttle and, because we tested it with a multi-port fuel-injected engine, relatively easy on gas, too." Only used in nearby freshwater lakes. 200 hours. Wakeboard/Ski tower fully operational. Clarion Stereo Trailer NEW Canvas and New snap-in carpets Amazing deal - family moved South with no place for the boat. 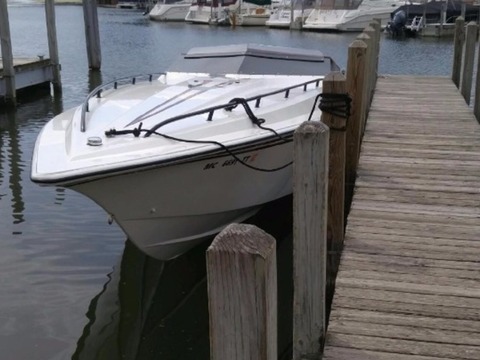 2006 Cigarette 42 X -Boat Has 95 Hours Total-Mercury Racing 1075s (Top Ends Done 10 Hours Ago by Sterling Performance), With Stelling Headers, Muffler Tips-Mercury Racing #6 Drives-Mercury Racing K-Plane Trim Tabs-Brand new 1550 Bam Transmissions-Livorsi Monster Gauges (Cabon Fiber)-MB Quart Stereo System-Garmin 3010C GPS-Mercury Smart Craft View-Custom Painted By Mitcher T-MYCO Tri Axle Aluminum Trailer (New Tires, Brakes, Ect) VERY CLEAN, READY TO GO!!!! 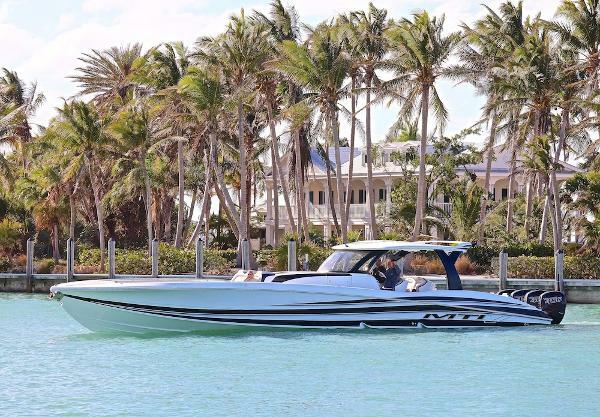 2019 Nor-Tech ORDER A BRAND NEW 450 TODAY Order a Brand New Nor-Tech 450 Sport Center Console, Call for Pricing and Options!Specs-Length: 45'Beam: 11.5'Weight: 20,000 lbsFuel Capacity: 500 GallonsPower Options:(Outboard Options are available in 4 or 5)-Mercury Verado 350's-Mercury Racing 400's -Yanmar Diesel PoweredNo detail is left undiscoverable with the Nor-Tech 450 Sport Center Console. Solid hull bottom construction consists of hand laid fiberglass sandwich and Kevlar Carbon fiber. It features a cockpit with an abundance of seating area creating comfortable social setting, ample storage, premium sound system and fish boxes. Several power options are available to see cruising speeds form the mid 60s to the low 70s and top speeds into the mid 80s. The Nor-Tech 450 Sport Center Console is in a league of its own offering fully customizable paint, thread stitching and italian hardware. The unexpected full size cabin leads to an oversized berth with a cozy wrap around sofa, panoramic overhead views, side wet bar, private head with a sink and stand up shower. Look no further, the Nor-Tech 450 Sport Center Console is your ultimate hi-performance multi-purpose sporty weekender! Also, available with many options for Sport Fishing and Yacht Tender Applications. 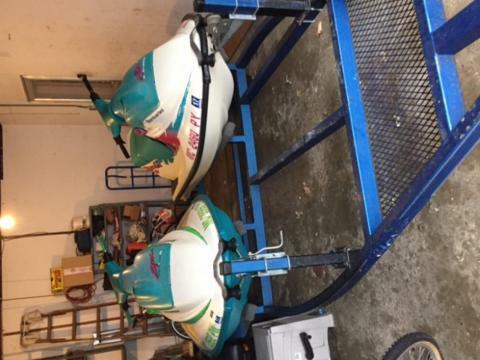 2019 Nor-Tech 340 Sport Brand new 2019 Nor-Tech 340 Sport!!! Loaded with many options, Call for more info! 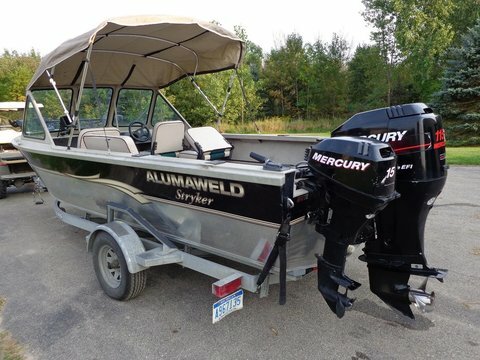 Triple Mercury Verado 350s Underwater LED Lighting Premium Interior Package with Diamond Stitching Premium JL Audio package Radar Bow Thruster Remote Spotlight Sea Dek Flooring Windless anchor Many more options as well!!! Call for more info!!! READY FOR DELIVERY!!! 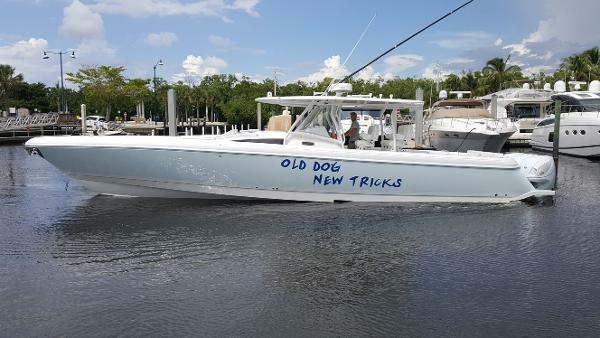 2019 Nor-Tech ORDER A BRAND NEW 560 TODAY Order your brand new Nor-Tech 550/560 from American Custom Marine today!Specs-Length: 55-56'Beam: 12'Weight: 25,000 lbsFuel Capacity: 600 GallonsPower Options:Triple or Quad Cummins diesel Inboard MotorsQuad or Quin Mercury Racing 400R OutboardsTriple or Quad Arneson ASD 8 Surface DrivesThe Nor-Tech 550 (Inboard) & 560 Sport (Outboard) Sport Center Consoles are everything you love about the 450 Sport Center Console plus 11 feet bolstering two rear luxurious aft loungers allowing for family and friends to stretch out and enjoy the ride. Solid hull bottom construction consists of hand laid fiberglass sandwich and Carbon Kevlar. The cockpit takes center stage with abundance of seating areas giving way to a comfortable social setting, ample storage, premium sound system and fish boxes. 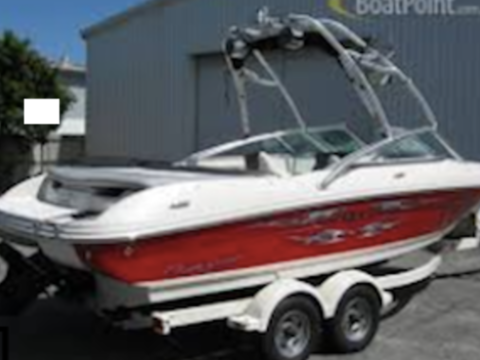 Key features of the 560 Sport Center Console is the inboard power option of triple or quads. The Nor-Tech 560 Sport Center Console is fully customizable from paint to thread stitching and Italian hardware. Standard build includes a stunning full size cabin with oversized berth, cozy wrap around sofa, panoramic overhead views, side wet bar, private head with a sink and a stand up shower. If you need a little more room for guest on that weekend adventure the 560 Sport Center Console had the perfect solution with a bonus forward second cabin upgrade. The second cabin features a closed bow design and posh comfort to sleep two additional guest. The new Nor-Tech Sport Center Console Line is your ultimate hi-performance multi-purpose sporty weekender and with the 560 Sport Center Console your weekend just received the absolute upgrade!Also, available with many options for Yacht Tender Applications. 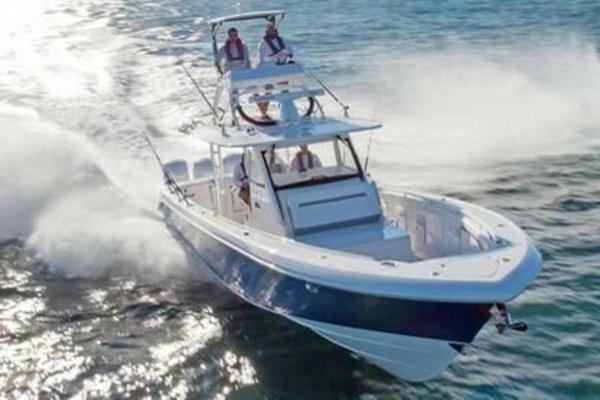 2019 Nor-Tech ORDER A BRAND NEW 390 TODAY Order a Brand New Nor-Tech 390 Center Console from AMERICAN CUSTOM MARINE, Call for Pricing and Options! 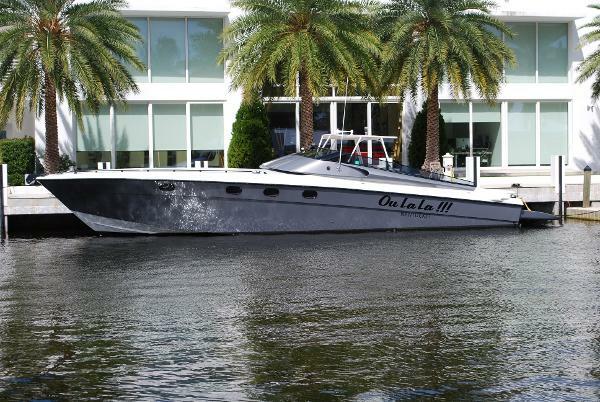 Specs-Length: 39'Beam:10'Weight: 11,500 lbsFuel Capacity: 310 Gallons Power Options:- Twin, Triple or Quad Mercury 300 Verados- Twin, Triple or Quad Mercury 350 Verados-Twin or Triple or Quad Mercury Racing 400's-Twin Yanmar 370 HP DieselsBoat Details-Multi Function Engine Display-Fishing Package-Bow Thruster- One or two Units Garmin 12", 15" or 16" GPS-Auto Pilot- Premium Sound System- Generator A/C- Windlass Anchor, Chain-Flushing Toilet with Macerator- 12V Air Conditioning-Windlass, Anchor, Chain-Second Row Seating- Underwater LED'sAdditional options available! 2017 Outerlimits Sl41 -Triple 400R Verado Outboards (65hrs)-Max 5 Props -100+ MPH-Mercury DTS Throttles-Bobs Machine Shop Hydraulic Jack Plates-Livorsi LED Indicator for Jack Plates-External Tie bars-Custom stretched cockpit with 4 bolster seats and a 3 person bench-Dual Garmin 7612 XSV 12" GPS- Mercury 703 Vessel View- Garmin Screens in all 4 Headrests-Power Bolster Seat Bottoms-Custom Carved cockpit-Bluave 9.0 Stereo System with Fusion Head Unit-Waves and Wheels Interior-Stephen Miles Paint Job-Full Cabin with Galley-Cockpit Cover, Custom Bimini Top, Full Travel Cover-Manning Painted Aluminum Trailer-Full Factory warranty Call for more information! This vessel is pampered and kept in a heated storage facility all winter so it has not been exposed to the winter elements all these years. Stock #173432 Great family weekend cruiser! 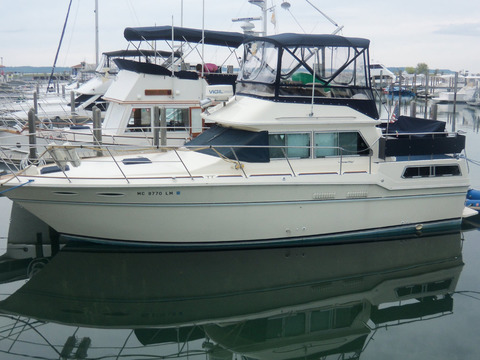 This vessel was very well kept and ready to go for the next family! 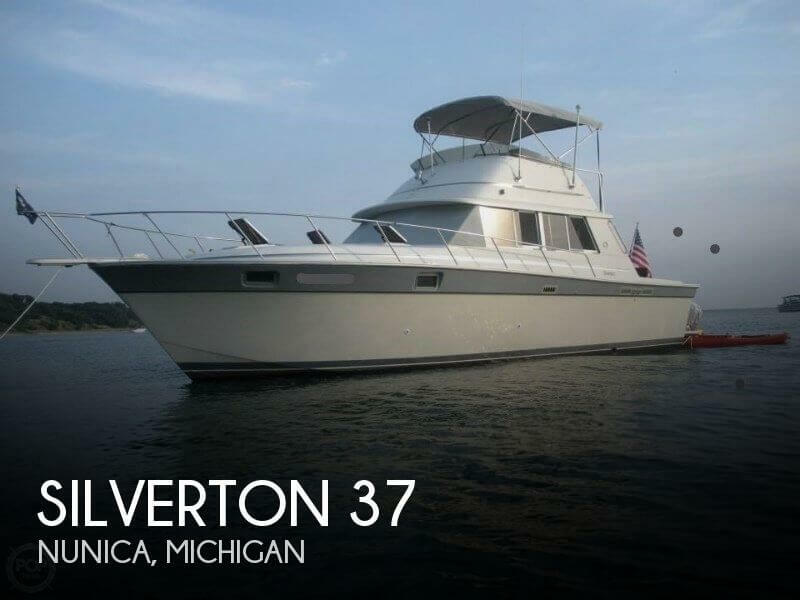 If you are in the market for a sportfish/convertible boat, look no further than this 1986 Silverton 37, priced right at $38,900 (offers encouraged). 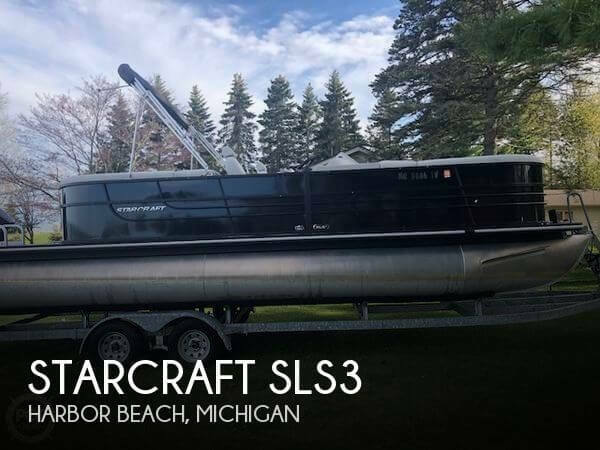 This vessel is located in Nunica, Michigan and is in great condition. She is also equipped with twin Crusader engines that have 1,700 hours. Reason for selling is switching to a sailboat!. The air intake covers were rechromed as were the forward cleats and hawse pipe covers. The anchor and chocks were powder coated and ready to install on the bow deck. *This boat does NOT have cored stringers. The only cored construction is on the bow deck and engine hatches. The engine hatches were re-cored in the spring of 2013. This boat was built very thick. The interior bulkheads are tabbed and solid. *The engines were rebuilt in the late 1990's for the former owner. We have all the paper work and documents from the rebuilds. We estimate the engine hours are approx. 600. The port gear was rebuilt summer 2013 and in 2014 transmission rebuilt. The ignition systems have been upgraded to HEI multiple-spark distributors and new coils, plugs and wires. Each engine has brand new Edelbrock 1409 carbs and brand new flame arrestors. Recently replaced the thermostats, had the fuel and water pumps professionally rebuilt, alternators rebuilt and duplicated the original manufacturer tags. The engines have been cleaned and detailed. They look and run awesome! The boat will cruise comfortably at 20-25 mph and burns a conservative 15 gallons per hour. The fuel system was also upgraded with new fuel/water filters, lines and stop valves. Stock #091262 Very Good Condition! Great for Fishing, Family and Weekender! 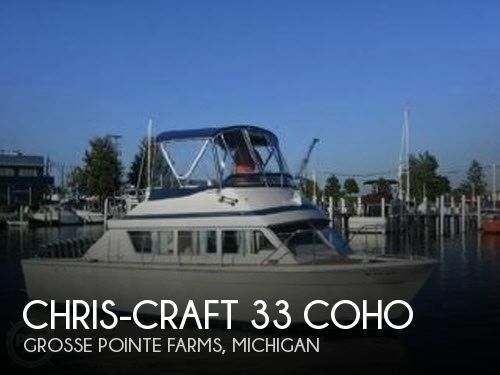 If you are in the market for a sportfish/convertible boat, look no further than this 1975 Chris-Craft 33 Coho, just reduced to $16,900 (offers encouraged). 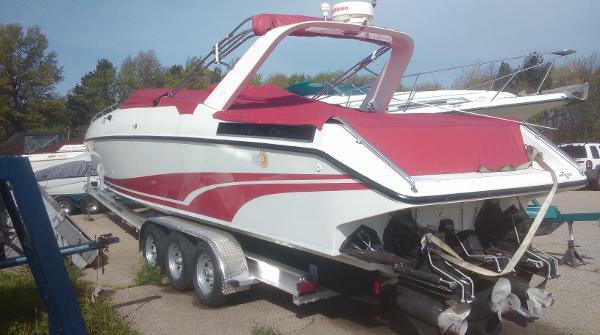 This vessel is located in St Clair Shores, Michigan and is in great condition. She is also equipped with twin Chris-Craft engines that have 600 hours. Reason for selling is purchased cottage on smaller inland lake..